BRIDGETOWN, Barbados, Jan.6, CMC – The island’s eighth Governor-General will be sworn into office on Monday, during an installation ceremony at the Senate Chamber of Parliament, which will get under way at 4:00 p.m. (local time). Madame Justice Sandra Mason, who has been named Governor-General designate, will become Dame Sandra Mason. She replaces Sir Elliot Belgrave, who retired on July 1, 2017. The Governor-General designate has served as Justice of Appeal at the Supreme Court in Barbados, and High Court Judge of the Eastern Caribbean Supreme Court. 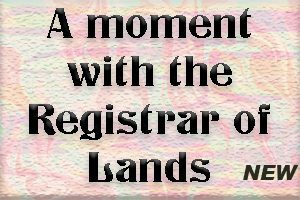 Prior to those two appointments, she worked as Registrar of the Supreme Court in Barbados, and held the post of resident Ambassador to Venezuela, Colombia, Chile and Brazil. Madame Justice Mason holds membership in several organisations, including the Commonwealth Secretariat Arbitral Tribunal, United Kingdom, where she is presently serving as president. She is also Chairperson of the Community Legal Services Commission, and member of the Judicial and Legal Services Commission; the Royal Commonwealth Society; and Parent Education for Development in Barbados. 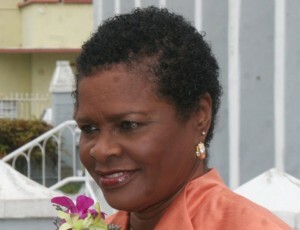 She has also authored a number of publications – including the “Development of the Trade Union in Barbados”; “Juveniles in the Barbados Society”; and “Due Process, Human Rights and the Administration of Juvenile Justice – A Comparative Study of the Juvenile Systems in the Commonwealth Caribbean UNICEF”.